In last month’s updates, we noted how Microsoft has managed to smoothly and steadily push its latest Windows 10 Fall Creators Update. When compared to the last upgrade sent to the operating system – Windows 10 Creators Update aka Version 1703 – the Fall Creators Update has so far been offered to a significant number of machines. 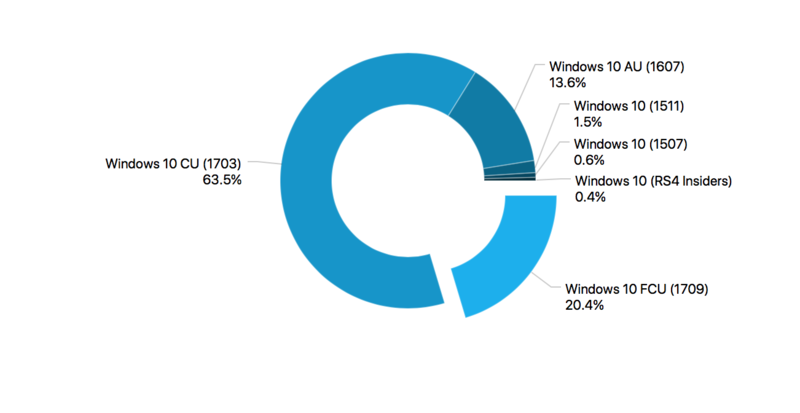 When the Fall Creators Update was released in September, the March update was only on 1/4th of all Windows 10 devices. In comparison, the latest Fall Creators Update is already powering over 20 percent of all the Windows 10 devices after less than a couple of months after its public release. 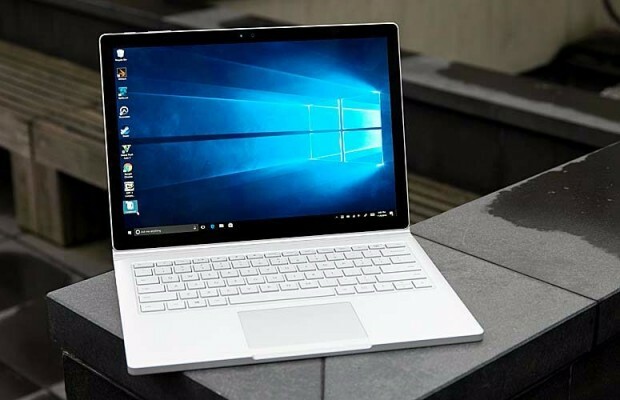 Statistics published by the analytics firm, AdDuplex, reveal that the Windows 10 Fall Creators Update has experienced significant growth in the past month. The latest OS version is sitting at a comfortable 20.4 percent compared to its share of 5.3 percent in October. The Creators Update – which took ages to arrive to users’ machines and when it did brought a number of different issues – has started going down again too. Version 1703 went from 74.6 percent to 63.5 percent, the Anniversary Update aka Version 1607 went from 17.3 percent to 13.6 percent, the November Update aka Version 1511 went from 1.9 percent to 1.5 percent, and the original Version 1507 went from 0.7 percent to 0.6 percent. This is yet another confirmation that the Redmond software maker is learning from its mistakes and improving the user experience as Windows 10 evolves. The company has said that the Fall Creators Update is being offered to more devices from the get go when compared to the last two updates since more devices were tested during the development process. This also gave users confidence that the FCU was way more refined than earlier versions. While it is so far limited to newer machines, interested users can manually install Windows 10 Fall Creators Update, as well. With Windows 10 Fall Creators Update issues mostly resolved, the company is now focused on the development of Windows 10 Redstone 4, having delivered a handful of updates to the Insiders on the Skip Ahead and the Fast ring. Earlier today Microsoft also talked about finally bringing its Tabbed UI aka Sets and Timeline in the coming few builds.